Medical and surgical options for the treatment of keratoconus are also expanding and improving. Corneal transplantation (penetrating keratoplasty or “PK”) has been utilized for the surgical management of keratoconus for many decades. The criteria for PK surgery typically is either the development of corneal scaring that reduces best corrected vision (even with contact lenses) or intolerance to contact lens wear (due to poor comfort or the inability to achieve a stable fit). Modification and improvement in surgical techniques has made PK much more successful. It should be noted however that keratoconus patients undergoing PK most often still require contact lenses to provide optimal vision. It is the exception to the rule to find patients who do not need some form of contact lens correction following PK, and even rarer to find a patient who does not need any type of vision correction after this surgery. Intacs (by Addition Technology) is a relatively newer surgical method to address the corneal irregularity found in keratoconus. It involves the implantation of tiny plastic segments within the cornea. The result is to make the optical surface of the cornea relatively more regular, thus reducing the degree of vision distortion. 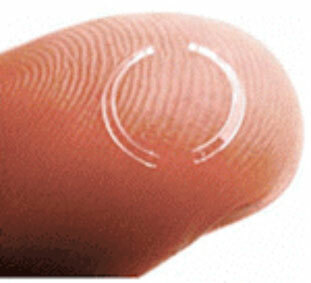 This technology is only indicated for keratoconic corneas without scaring, yet have become contact lens intolerant. Results with Intacs have been encouraging, but once again are not a total solution for this disease. 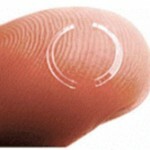 As with PK, patients who have had Intacs implanted most often still require contact lens correction for maximum vision. By making the corneal surface more regular contact lens fitting may be more successful following Intacs. The newest development in the medical treatment for keratoconus is termed “Collagen Crosslinking with Riboflavin”. It involved the exposure of the cornea to riboflavin (vitamin B2) and ultraviolet light for a period of time. The result is a change in the crosslinking of collagen fibrils within the substance of the cornea. For some patients this treatment strengthens the cornea and therefore slows down or halts the progression of keratoconus. For some more fortunate patients this treatment may also improve corneal surface regularity. Numerous studies evaluating this so far non-FDA approved procedure are going on throughout the United States. Keratoconus is a corneal disease that results in progressive visual distortion. Technologies in contact lens correction, medical treatment, and surgical options for keratoconus continue to improve. The primary treatment for the disease is with specialized contact lenses. Seeing an eye care professional who is skilled and experienced in the diagnosis and management of keratoconus provides the best opportunity to experience the best vision possible. President and Medical Director of North Suburban Vision Consultants, Ltd.